Reliable Emergency Vehicles, Inc. has over 20 years of experience in the export market. 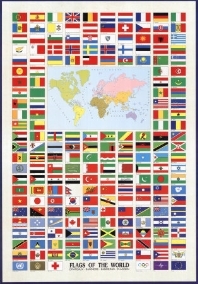 We have worked with many countries worldwide. Helping organizations across the globe design and receive the finest ambulance for their community gives us great pride. We work directly with Falcon Freight Forwarder. Our freight forward experts will insure that your ambulance arrives as expected to any port in the world. To begin this process, you must first fill in the WDMO (Worldwide Direct Market Operations) form. This form will assist the chassis manufacturer to determine pricing and warranty availability. your specific needs for your custom module. Each of our units is built specifically to your desires. 20% of the cost of the module in order to begin construction. Used ambulances require 100% payment before shipping. Click the link above to move to the WDMO export information form.